Meet Danny Salomon... Danny first visited The Commons in September of 2017 while visiting Chicago. In 2018, he came back to learn more about SWF’s practice and, within six months, was invited to become a SWF Human-in-Residence. 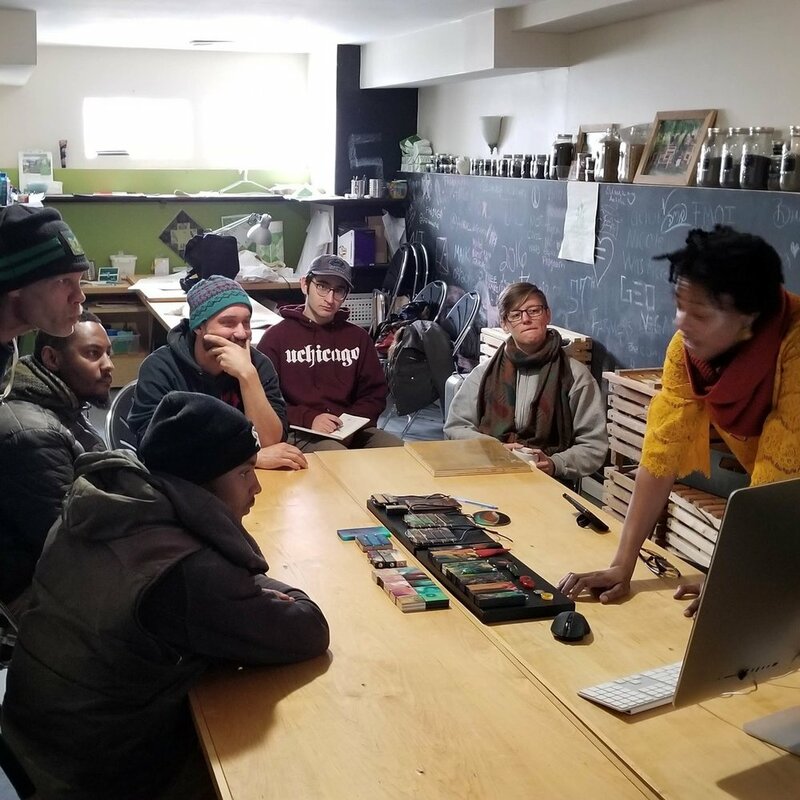 Humans-in-Residence are lifelong learners, artists, and contributors of all ages and talents that engage in an immersive and generative experience with lasting impact. 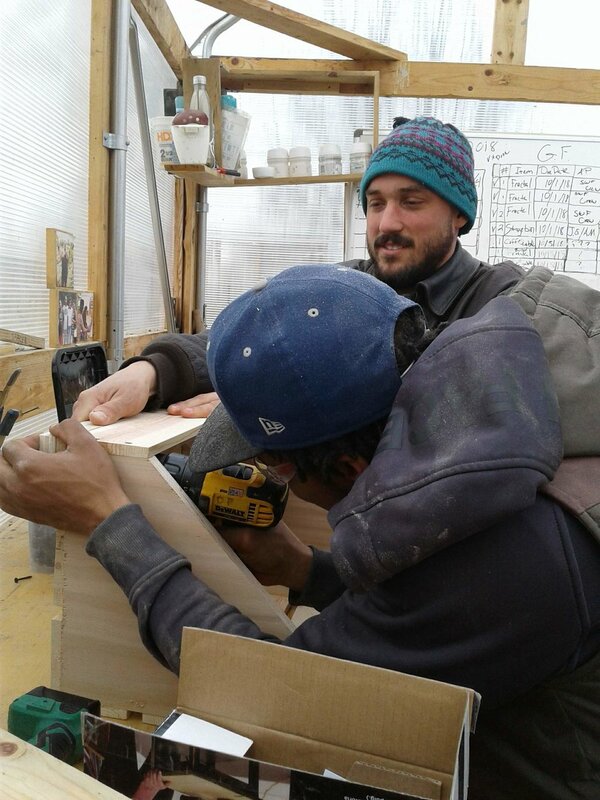 During his intensive, 2-week residency at The Commons this winter, Danny stayed in the Think-Do House and worked alongside the SWF team on renovation of the [Re]Construction House, design and build of a storage system for a shipping container, and, most importantly, becoming part of the SWF Family. 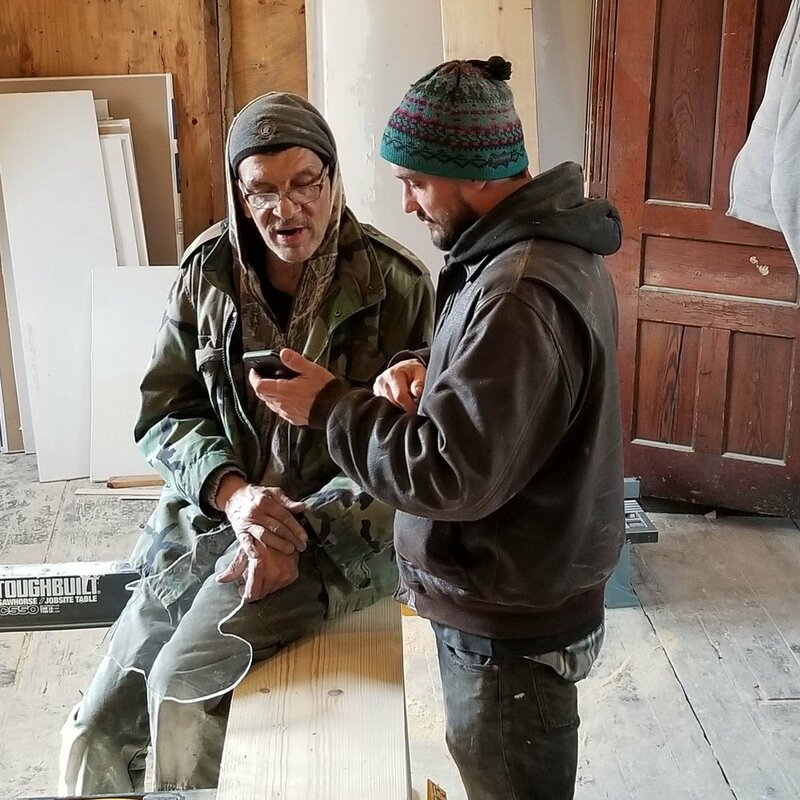 Take a moment to read about Danny’s role as a Human-in-Residence and his stay at The Commons. Growing up in New York City, art played a major role in my childhood. My most vivid childhood memories all involve -- wherever I happened to be -- translating the experience of my surroundings through the process of making things. Drawing, collage, origami, you name it. Having exposure to the incredible museums and art galleries in New York definitely fueled that fire for me. This early inclination toward art eventually led me to study architecture at Cornell University. Going in, I thought architecture would satisfy my interest in art-making, as well as the natural tendency I had to engage in a profound way with my surroundings. The reality, though, was that architecture school involved a lot more sitting at a computer than I could tolerate. The design process was also less collaborative than I had anticipated. Occasionally, we’d do group projects, but they were definitely the exception. At the end of my education, I was a bit lost. 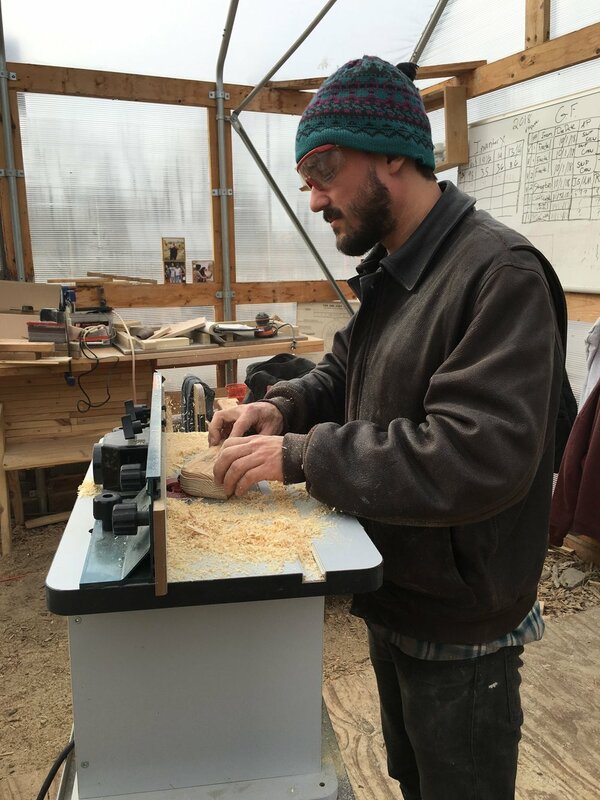 Reluctant to take a job at an architecture firm, I instead started working for Cornell University as a technician in “the shop,” a facility that comprised fabrication equipment – woodworking, metalworking, and so on -- available to students in the College of Architecture, Art, and Planning. I cannot emphasize enough how much this job changed my life. I had very limited experience working with these sorts of tools prior to my employment, but swiftly learned on-the-job and soon became enthralled with the idea of mastering craftsmanship. I was astounded by how much agency and freedom learning how to build provided me as a designer. It was like the missing link in my education. And it’s influenced everything I’ve done ever since. Can you share some of the projects you’ve worked on? 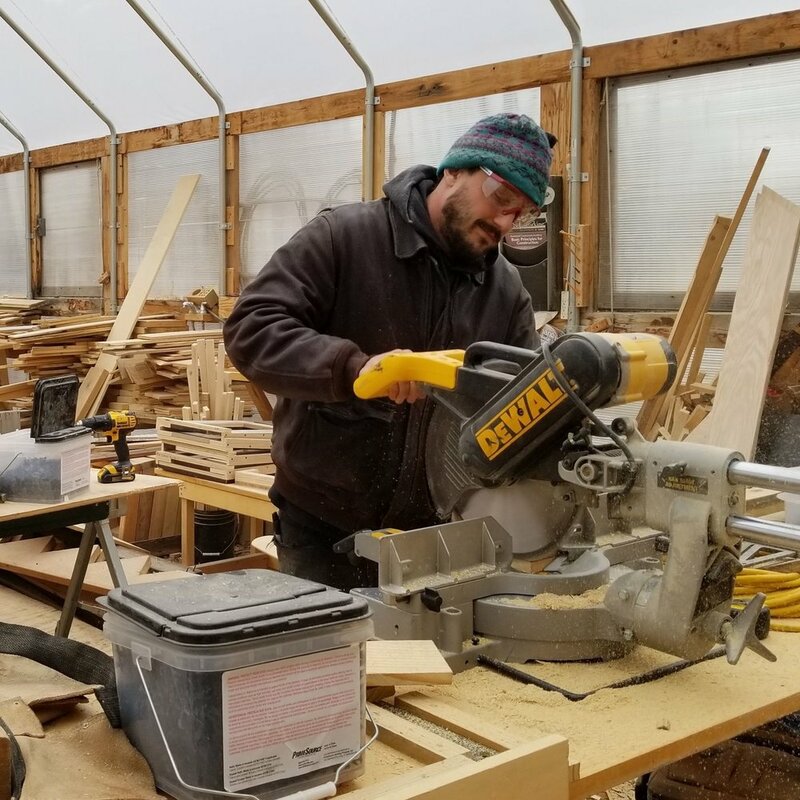 One project I did that keeps surfacing in conversations at Sweet Water Foundation is the “Traveling Tool Library” -- a tool shed on wheels, essentially. The Library was a collaborative project I undertook with “Building Community,” a student organization I helped found during my fifth and last year working in the shop at Cornell. Building Community’s mission was to bring students together from different disciplines to execute public interest design+build projects. “Building” was thus a tool for bringing a diverse range of people together. More than just object-making, we considered “building” as a social activity, a way of sharing knowledge and experience with one another. Unfortunately, due to strict University policies, students outside the College of Architecture, Art, and Planning were not allowed to use the equipment in the shop where I worked. This became an issue for the organization, of course, because our membership extended beyond the college. How were we supposed to include students from other colleges in our workshops if they weren’t allowed to use the equipment? The Traveling Tool Library was more or less born out of a desire to subvert that policy. If the University shop wouldn’t allow certain students access its equipment -- despite it being for educational purposes and with the oversight of a staff member -- then we would create our own shop and offer access to all. We received grant-funding for the project through the Cornell Council for the Arts, which meant the Library – this practical resource – also had to somehow function as “art.” In trying to align this idea with Building Community’s mission, we decided to make the Library a platform for local artists to share their work in a public setting. Consequently, we designed the Library so that one of its walls could fold down and turn the structure into a performance stage, with the tools becoming a sort of backdrop. So, besides housing building equipment, the Library could host pop-up art functions – dance, music, theater, and so on. We received several requests from nonprofits in the area that wanted to rent our Library for special events. Most notably, the Library served as a stage one summer at GrassRoots, a pretty major outdoor music festival hosted in July in a small town ten miles north of Ithaca. 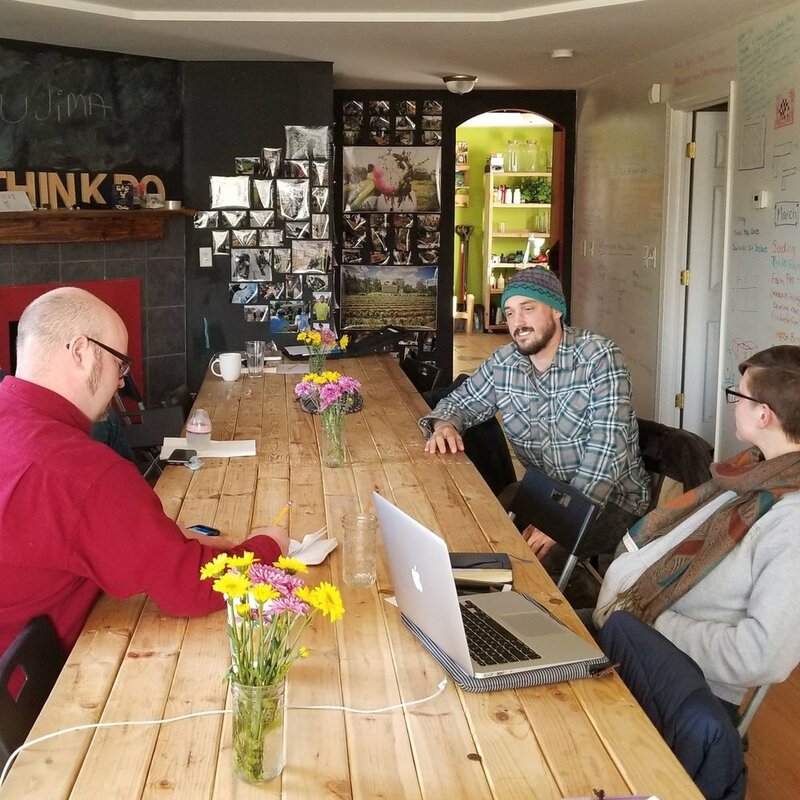 We eventually donated the Library to Ithaca Generator, a local makerspace, which we felt had the necessary resources and vision to carry it forward. As far as I know, they’ve used it well. How did you find Sweet Water Foundation? During my last few years working at Cornell, I became very interested in design+build education. The term, “design+build,” gets tossed around a lot these days, but the original intent of design+build education – or, really, one of many underlying intents – was to remove architects-in-training from their somewhat lofty and insulated positions in academia and use the process of building to help ground them. Centuries ago, architects were trained through the guild system. Architects were essentially master builders; they learned about architecture through decades of manual labor. In fact, the word, “architect” -- if you trace it back to its roots – literally means “master builder.” So, as a teaching methodology for architects, design+build is nothing new; it’s actually more tried-and-true than our current system. I believe there’s also this modern-day rift between architects and contractors that stems from a general lack of appreciation and understanding of the others’ skill-set. Design+build education, when done properly, can start to dismantle this rift and establish a mutual appreciation and understanding for the others’ occupation. 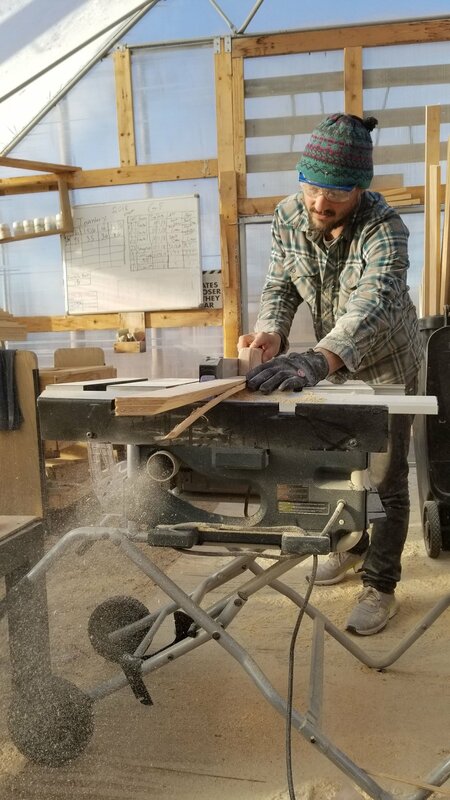 Over the past few years, I’ve been both researching and visiting a host of educational design+build programs throughout the United States such as Yale’s Building Project, Studio804 at the University of Kansas, and Rural Studio at Auburn. 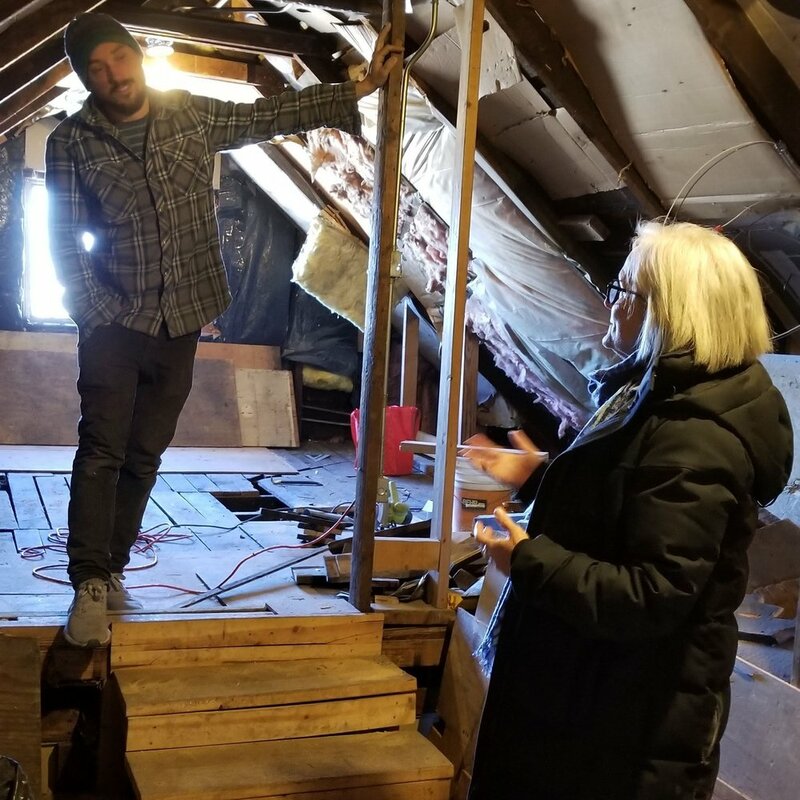 I have also been interested in design+build programs that operate outside a large institutional setting, which is what eventually led me to Sweet Water Foundation. In September of 2017, I was visiting Chicago and met up with John Preus. He told me about SWF and a few other things going on on the South side of Chicago. I visited SWF, but it was on the weekend when no one was there. The Thought Barn was not there yet, but there were still crops in the field everywhere. The living benches were there too. I barely knew anything about SWF, but I could see it and feel it. I came back to Chicago a year later, and SWF was still on my brain. On that trip, I met Michelle Nordmeyer, who is also a SWF Human-in-Residence, who told me to go over to SWF. I stopped by, met the team, and wasn’t surprised by how great this place is. What is your role at Sweet Water Foundation? My role is “Human-in-Residence: Design+Build Educator & Tumbleweed”. I had the opportunity to stay in the Think-Do House for two weeks. During my first week, I plugged into various programs such as working with the team in the Work-Shop. 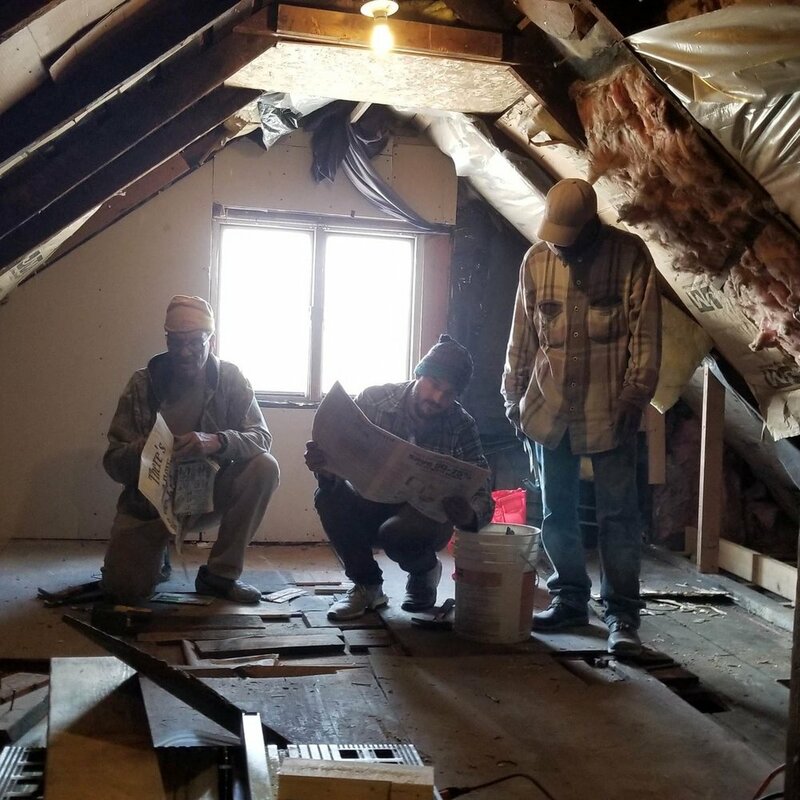 During my second week, I shifted over to the [Re]Construction House - doing restoration work in the attic. Working alongside Emmanuel Pratt, SWF Executive Director, and the rest of the team has been phenomenal. Everyone has been so welcoming. I felt at-home almost instantly. You can feel how passionate the team is about this place. As a creative person, passion is something I seek out more than anything. The love and passion people have for SWF is contagious. I feel very lucky to be a part of that. What are you hoping to leave here with? Emmanuel gave me a lot of uninterrupted time to reflect during my residency, which is not something I devote enough time to these days, in general, when I go about the world. That’s not to say that I’m an unreflective person; it’s just that I only tend to do reflect in snatches. While I was at SWF, I participated in a workshop with a group of students from the University of Chicago at the Smart Museum of Art, led by visiting artist, Udita Upadhyaya. As part of the workshop, we participated in this exercise where we went around in a circle, each saying “river, tributary…” and then a word or sentence or two that just sort of comes out of the darkness. We did this exercise a few times throughout the course of the workshop. I think the purpose of this exercise – to put it in a somewhat simplistic way -- was to pull us out of our individual “rivers” or “tributaries” and get the group into a larger, placid, and more collective “blank.” Swimming up rivers, tributaries and away from the “blank” all the time gets tiring. After the residency, I hope to allocate more time to the “blank” space. There are oh so many, but I’ll provide two. First, Tanya Scruggs Ford led a phenomenal demonstration of her artistic process in the Thought-Barn. I think it’s safe to say that everyone from the team was inspired by the results. 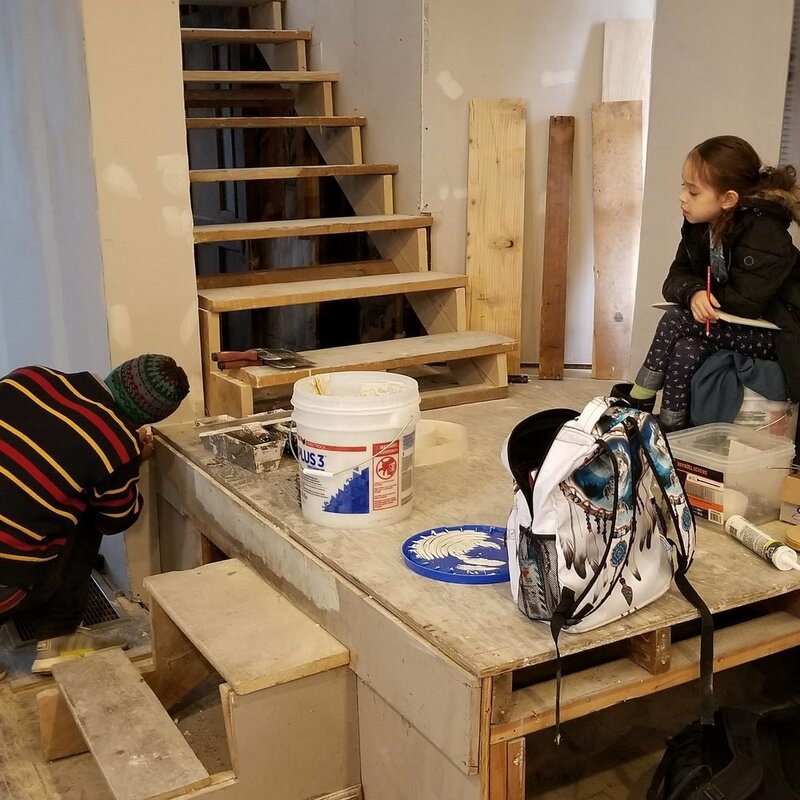 We all mused on the prospect of incorporating some of her techniques to portions of the [Re]Construction House afterwards – applying them at an architectural scale. 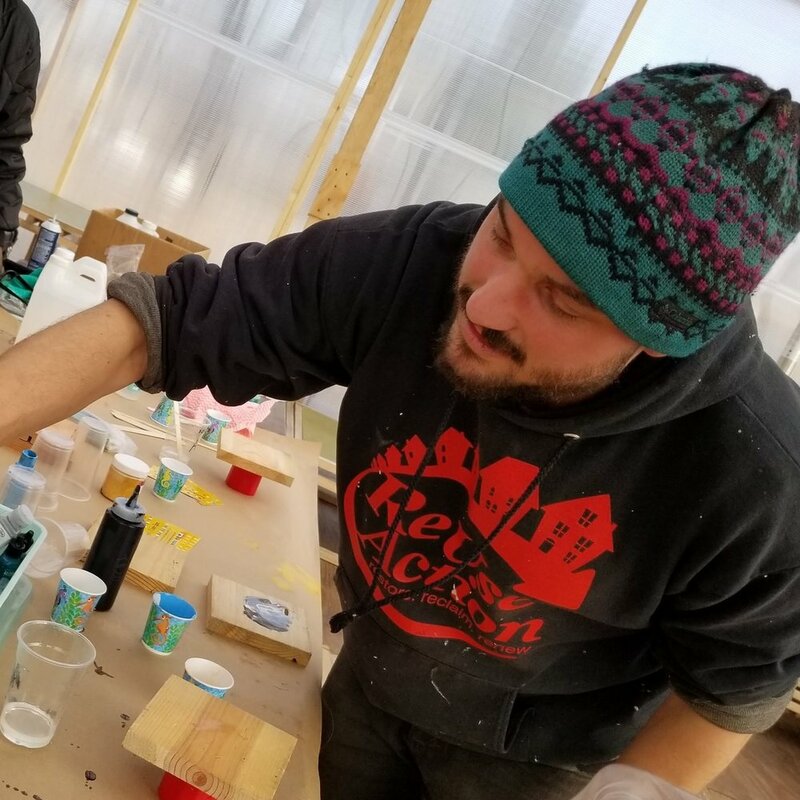 The idea that an artist’s somewhat spontaneous workshop can immediately expand the physical possibilities of an environment – it’s simply amazing to have that kind of freedom and transformation occur here. And those sorts of events occur daily at Sweet Water Foundation. Second – and this a more general memory – I will miss the camaraderie and ethos of this place. The fist-bumps in the morning. The jokes and gibes throughout the day. The brief one-on-one moments in-between. Sounds corny, maybe. But that’s the stuff that really sticks. Describe SWF in one word.